Michael Curry pleaded guilty to stabbing a league volleyball player near North Avenue Beach. The man who viciously stabbed a North Avenue Beach volleyball player in Lincoln Park in July 2016 has pleaded guilty to attempted murder. Michael Curry, 30, was sentenced to seven years in prison and was given credit for 917 days spent in jail awaiting trial by Judge Earl Hoffenberg. The stabbing victim told police that he was walking to his car around 9:20 p.m. after playing league volleyball when Curry—a complete stranger—stabbed him five times near the intersection of Clark Street and Lincoln Park West. Curry's case is a classic example of what's wrong with Cook County's justice system. One month before the Lincoln Park attack, Curry was arrested and charged with swinging a knife and cutting a 52-year-old man during a robbery at the Chicago Red Line station. The man suffered a 7-inch laceration to his upper arm, according to police. Officers arrested Curry nearby, and he was positively identified by the victim as the man who attacked him. He was charged, jailed, and held on a high bond. But, during a hearing at Belmont and Western three weeks later, Judge Marvin Luckman ruled that there was no probable cause in the case and he threw the case out. Curry was set free. Six days later, he repeatedly stabbed the volleyball player. 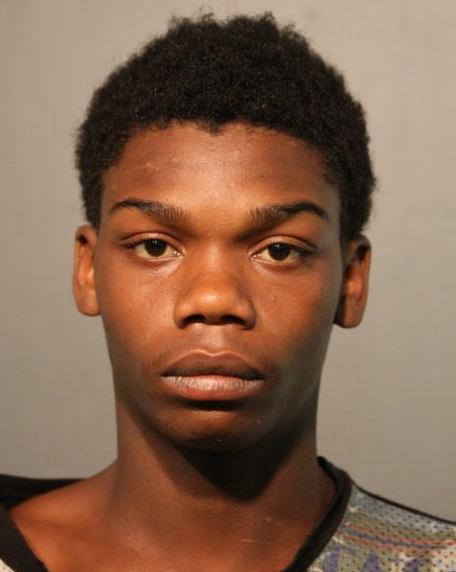 Kendall Hammond, 20, has pleaded guilty to participating in three robberies in the Lakeview neighborhood in September 2016, including one in which an off-duty cop was targeted. Judge Timothy Chambers sentenced Hammond to 21 years in prison and gave him 829 days credit for time served awaiting trial for the robbery that involved the off-duty cop. Chambers sentenced him to 15 years for each of the other two armed robberies and seven years for possessing a stolen motor vehicle. The sentences are to be served concurrently. With good behavior, Hammond will be released from prison in April 2027. Hammond was 18 when he and two juvenile offenders robbed an off-duty Chicago police officer and the cop’s wife at gunpoint in the 3100 block of North Ravenswood. Police said Hammond was identified as the perpetrator who aimed the gun at the officer. Even after the off-duty cop identified himself as a police officer, the offenders proceeded with the robbery and escaped with the officer's weapon, police star, and wallet. 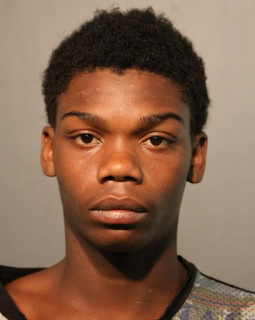 Police said Hammond told them that he and the other offenders came to Lakeview via CTA and proceeded to steal a car and commit robberies, according to court records.